We get that question a lot around here. And, so, it's time for a blog post providing an explanation! In Iowa, there are essentially five homeschooling legal options. Three of the options offer access to public school services through the filing of paperwork and follow-up consisting of either licensed teacher supervision or annual assessment results reporting. The other two options do not offer access to public school services, but they also have no initial paperwork filing or any of the follow-up requirements listed above. In 2013, legislation was drafted to implement these two options, and those bills – along with a bill drafted to implement Parent-Taught Driver Education – were all considered by the Iowa Legislature. At the end of the legislative session, all three of these bills were added as amendments to a larger piece of legislation, and, through a joint conference committee compromise, all three were passed into law. Because the bills creating each of these three options for homeschooling families were drafted independently at the beginning of the same legislative year, each bill was drafted without reference to the other options (since, of course, the other options were not yet law when the drafting was completed). This created a bit of confusion that we’re still dealing with today. One example: the Iowa Code only specifically refers to Iowa Code sections defining CPI in the Parent-Taught Driver Education eligibility descriptions. Why? Because only CPI – not IPI – was in the Iowa Code when the Parent-Taught Driver Education bill was drafted. NOTE: Read our blog post updating this situation. 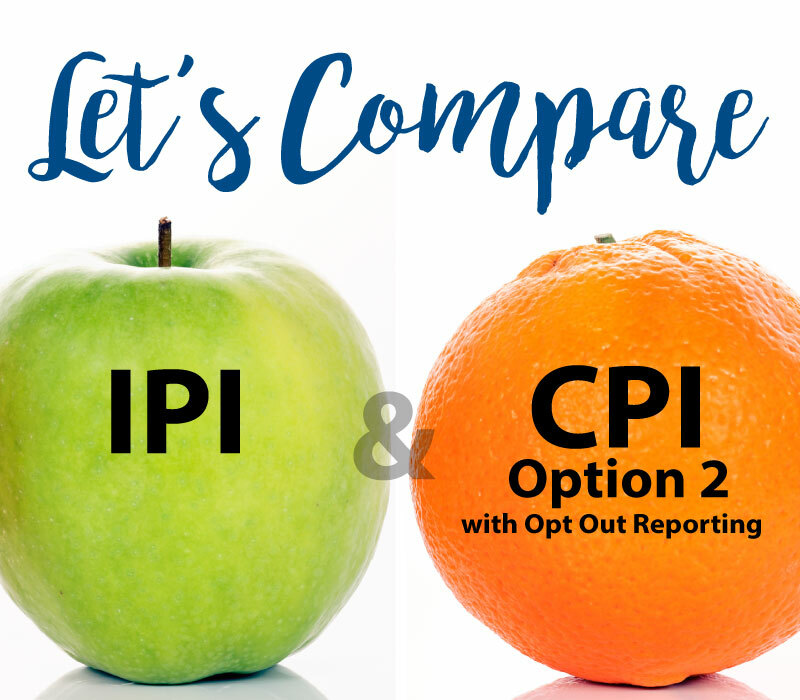 HOW ARE IPI and CPI OPTION 2 WITH OPT-OUT ALIKE? These two homeschooling legal options do share some basic similarities. There are no initial filing requirements for IPI. There are no initial filing requirements for CPI Option 2 with Opt-Out. NOTE: Even though there are no initial filing requirements for either of these two options, we recommend that parents send a written notification to the public school when removing children from public school enrollment and commencing private instruction so that school officials do not view children as absent or truant. IPI students have access to public school driver education programs without any dual enrollment requirement and cannot be charged more than fully enrolled students. CPI Option 2 with Opt-Out students have access to public school driver education programs without any dual enrollment requirement and cannot be charged more than fully enrolled students. IPI students can receive free testing at their resident public school without any dual enrollment requirement by making a timely advance-notice request. CPI Option 2 with Opt-Out students can receive free testing at their resident public school without any dual enrollment requirement by making a timely advance-notice request. IPI is not specifically referenced in the Iowa Code section outlining the Parent-Taught Driver Education option (see explanation above). However, NICHE worked with the DOT to clarify that all homeschooled students, including those receiving IPI, have access to Parent-Taught Driver Education. They can send a copy of the IPI Response Form along with their application to be a teaching parent for Parent-Taught Driver Education. Parents providing CPI Option 2 with Opt-Out do have access to Parent-Taught Driver Education. Since they have not filed a CPI Form A (because they chose the “Opt-Out” version of Option 2), they can send a copy of the Optional Report of CPI Option 2 with Opt-Out along with their application to be a teaching parent for Parent-Taught Driver Education. 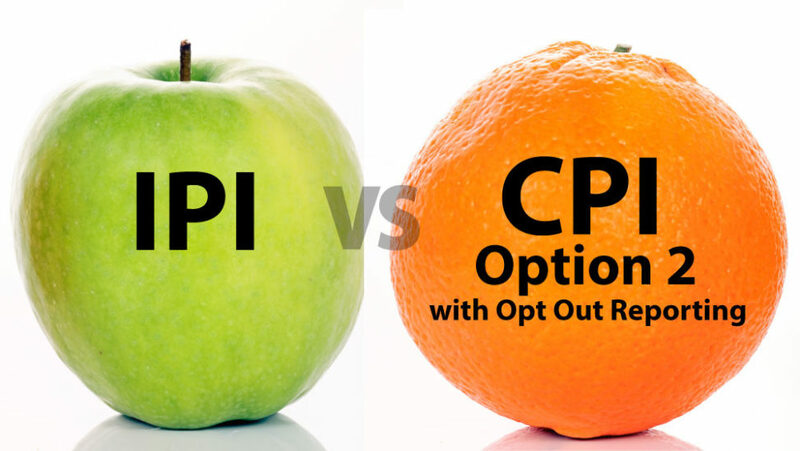 WHAT ARE THE DIFFERENCES BETWEEN CPI OPTION 2 WITH OPT-OUT AND IPI? While these two homeschool legal options share many similarities, there are some ways they are not alike. Here are the basic differences between the two options. Parents providing IPI must provide instruction in these 5 subjects: reading, language arts, mathematics, science, and social studies. The law does not specify the amount of time that must be spent instructing any single subject, but some instruction in each required subject should be included every school year. CPI Option 2 with Opt-Out has no required subjects. IPI has no legally defined minimal number of instructional days. Parents providing CPI Option 2 with Opt-Out must provide at least 148 days of instruction per school year, with 37 days per school quarter. The Iowa Code specifically allows for the instruction of up to 4 unrelated students in IPI programs, although no tuition or remuneration may be received for the instruction. The Iowa Code does not specifically address the instruction of unrelated students under CPI. There are no initial filing requirements for IPI, but the Iowa Code does allow the Department of Education or local school district superintendent to send a written request for information about IPI programs. Parents can use the NICHE Optional Report of CPI Option 2 with Opt-Out to respond to such a written request. There are no filing or reporting requirements for CPI Option 2 with Opt-Out – either initial or follow-up. Homeschool Iowa on What Can the School Require Homeschooling Families to Submit?